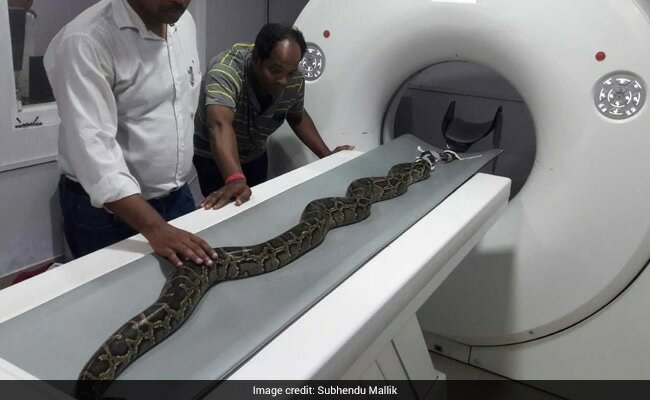 The CT scan is likely the first of its kind conducted on a snake in India, says Subhendu Mallik of Snake Helpline. 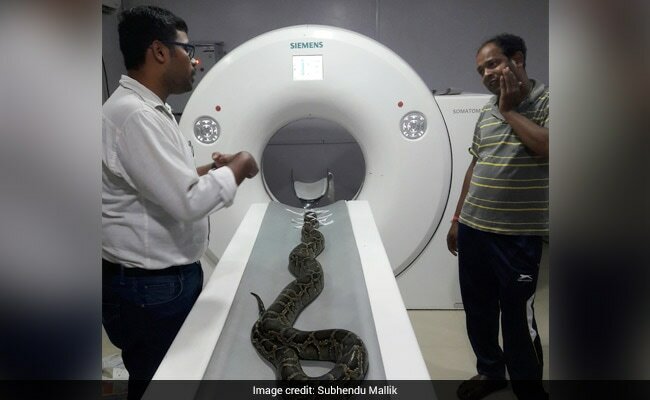 An eight-foot critically injured Burmese python underwent a Computed Tomography or CT scan during treatment in Bhubaneswar on Sunday. The CT scan, which took place at a private clinic, is likely the first of its kind conducted on a snake in India, says Subhendu Mallik of Snake Helpline. The injured reptile was discovered in Keonjhar district's Ananadpur, some 130 kilometres away from Bhubaneswar four days ago. It was rescued by the Forest department and handed over to Snake Helpline, an organisation made up of 60 volunteers that focuses on the health of snakes and assists in snake rescues in Odisha. The python was brought to the College of Veterinary Science of Odisha University of Agriculture & Technology (OUAT) in a critical condition by Forest Range Officer of Anandpur Mihir Patnaik on Friday. An initial X-ray did not reveal much about the nature of injuries sustained. Subsequently, the python was kept under the supervision of Snake Helpline. 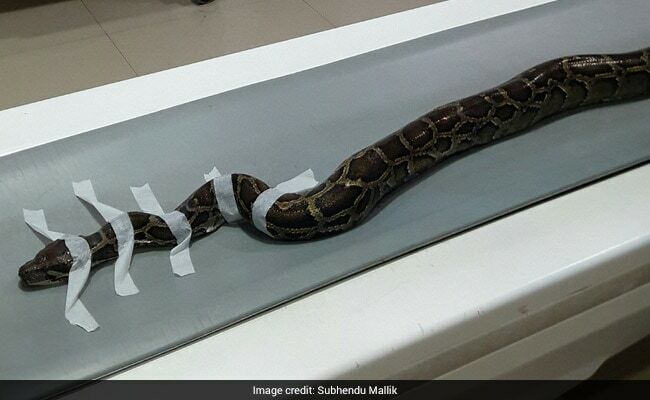 Mr Mallik tells NDTV they referred to medical journals and after much research, arrived at the possibility of a CT scan to determine the exact injuries the python had suffered. He explains they managed to convince doctors at a private clinic to allow the snake in for a CT scan as there was no provision for such treatment at the government hospital. The next challenge was figuring out how to keep the large snake still enough to get a clear CT scan. Mr Mallik says that even though there was a case of a python being given anesthesia abroad, they feared doing so in India. Faced with the dilemma of restraining the snake during the procedure, they decided to use an adhesive medical tape. Mr Mallik says the CT scan revealed various internal injuries, including a severe head injury. Next, he hopes he will be able to send copies of the reports to international experts who can guide them on the next step to take. The python is set to undergo further treatment.